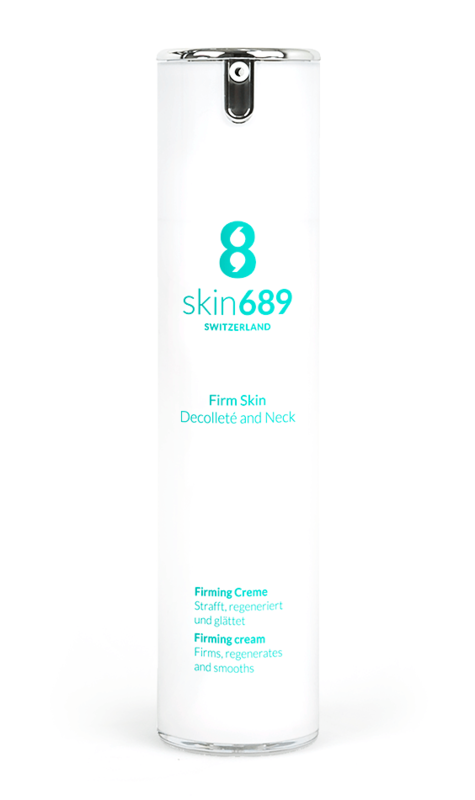 The Firm Skin Decolleté and Neck by skin689® using PhytoCellTecTM, an active ingredient that effectively counteracts skin aging while protecting the skin's stem cells. DermCom® crocus bulb extract and CoAXELTM, a combination of Coenzyme A, L-Carnitine and Caffeine, enhance the regeneration of the collagen and elastin network for more tone and fewer wrinkles. In addition, moisturising boosters bolster up the skin. In addition to the regeneration of the collagen and elastin structure through DermCom® crocus bulb extract and CoAXELTM, PhytoCellTecTM argan stem cell extract with its wealth of antioxidants and vitamins A and E regenerate and rejuvenate the skin. Apply once a day using gentle strokes. Do not overly rub as the delicate skin tissue may become overstretched.